Discover Beauty’s Best Kept Secrets In Your Kitchen! The Recipe for Radiance is a book that should be a mandatory read for all women! Good Friend, Alexis Wolfer (featured in past BTS posts here and here) makes it simple to take care of yourself, all while not having to leave your kitchen! Alexis's book is a perfect read for those of us who might not spend a lot of time in the kitchen as she makes it easy and not scary! What I love is Alexis also follows one of my golden rules within our #BMGLIVEOUTLOUD campaign which is we are all beautiful on the inside and how important that truly means! This is a perfect gift for those of us who love a great DIY project. Perfect for Mother's Day for that Mom who is looking to refresh herself both inside and out. Below is an example of a Rejuvenating Eye Polish that Alexis let me share with you. 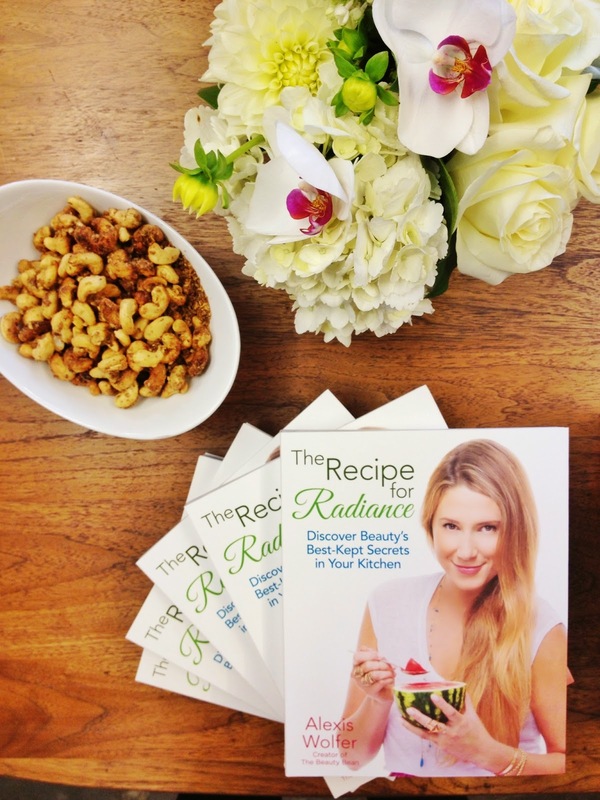 The Recipe for Radiance is now available so you can get started whipping up her 131 beauty-boosting recipes! Link here to purchase. 1) Using a fork or a blender, combine the avocado with the grape see oil until creamy. Slowly add the milk until well combined. Steering clear of aggressive, granular exfoliants in favor of the naturally occurring lactic acid found in milk, this compress gently breaks down dead skin cells to reveal a more youthful complexion. Simultaneously, it hydrates with the fat in both the milk and avocado, and protects through the antioxidant-rich grape see oil.